The USA sci-fi series that ran for four seasons from 2004 to 2007 may be reimagined for The CW. The original series counted Peter Coyote, Billy Campbell and future Oscar winner Mahershala Ali as stars in the drama about 4400 people who suddenly return after disappearing more than half a century earlier. 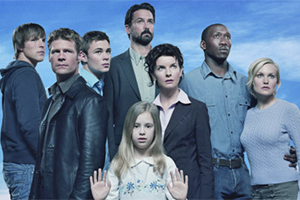 Here is the premise of The 4400 reboot, according to Deadline: "Over the course of recent history, four thousand four hundred young adults in their reproductive prime have gone missing all over the world—some disappearances happened as recently as a few weeks ago, while others date as far back as the infamous day the Soviets launched the Sputnik satellite in 1957. One day in 2019, all 4,400 show up at the sites of their original abductions. None of them have aged a day; none have any memory of where they’ve been. The so called “4400” must grapple with their return to a changed and hostile world… and also contend with the reality that they’ve come back altered in ways that none of them yet understand."